Surfing has exploded in popularity, partly because young people are seeking new experiences. If you’re interested in surfing, regardless of your age, here are some useful tips to help you catch a wave successfully and have fun while riding your first wave. Helpful Tips For RIDING YOUR FIRST WAVE Surf’s Up! Veteran surfers make it look effortless, but everyone had to start somewhere. Look for a teacher with whom you can feel comfortable — and read reviews from other students. Never try to surf by yourself. Bring a friend who has experience or go with a group. This will help you avoid danger. Don’t try to tackle big waves right away. Find a spot where the waves are small and steady, so you’ll have plenty of opportunities to practice. This will help make riding your first wave easy. 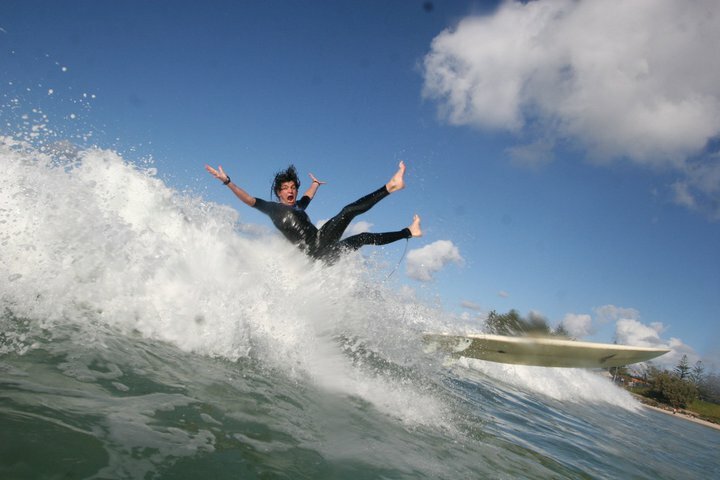 It’s always a good idea to do some light stretching before you hit the waves. Also, this is a good opportunity to get a sense of the water’s motion as well as what your fellow surfers are doing. It never hurts to be as prepared as possible. Once you catch a wave, it’s crucial to remember to bend your knees to keep your balance. If you try to rebalance yourself by moving your back and shoulders, you’ll wipe out much faster. As a novice, you’re prone to wiping out and making mistakes. If you’re in the same area as more experienced surfers, be courteous and stay out of their way. You don’t want your inexperience to be the cause of a collision or another type of accident. You will get the hang of surfing eventually. In the meantime, though, you’ll spend a lot of time wiping out in the water. Don’t get discouraged — it’s all part of the process. When you’re learning, larger boards are preferred, because they allow more space to master the basics of balance and control. They also catch waves much easier than smaller boards. Soft-top boards are the best for beginners, because they can be more comfortable for sitting and less dangerous if you collide with your board during a wipeout. Island Water Sports had a great selection in the store or online. In addition to the proper board for your skill level, make sure you have the appropriate swimwear. Wetsuits should fit snuggly, and trunks or bathing suits should be comfortable yet tight enough that they aren’t carried away by waves during wipeouts. Stop in Island Water Sports, located at 1985 NE 2nd Street in Deerfield Beach. 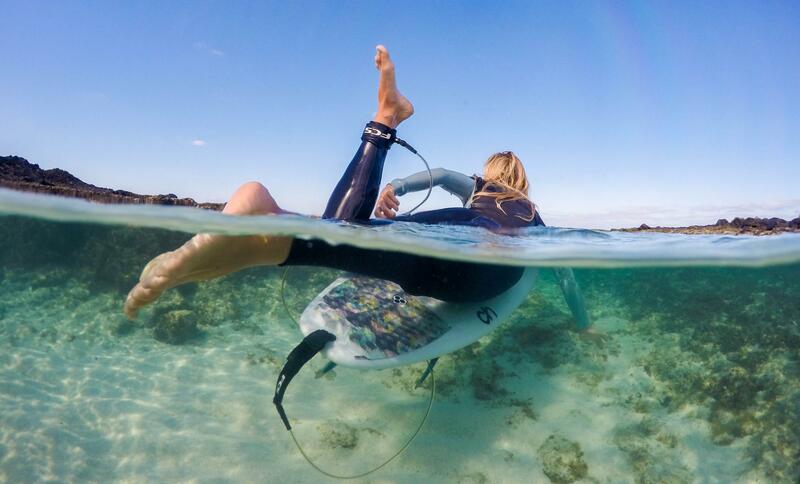 Our experienced staff will help you find the perfect gear to get you in the water. Paddling your board to where you want to be requires a lot of upper-body strength and rhythm. Take the time to practice proper paddling technique on the sand before you try surfing, because you’ll be doing it often. Knowing the proper way to paddle, and paddling strong can help when you take off and start riding your first wave. A few successful rides may have you feeling like you can take on bigger and better waves, but it’s important to pace yourself. Doing too much too fast can come back to bite you in the form of injury or a collision with another surfer. Sitting is an important skill for a beginner because of how often you’ll be doing it. Be sure you have a feel for sitting comfortably on your board. Otherwise, you’ll be tipping over often while waiting on riding your first wave.